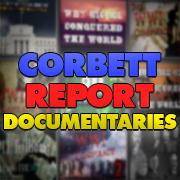 https://www.corbettreport.com/mp3/episode343-lq.mp3 In the modern age of democracy and volunteer armies, a pretense for war is required to rally the nation around the flag and motivate the public to fight. That is why every major conflict is now accompanied by its own particular bodyguard of lies. From false flag attacks to dehumanization of the enemy, here are all the examples you’ll need to help debunk a century of war lies. 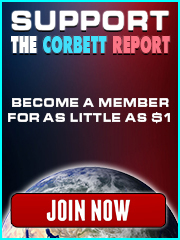 https://www.corbettreport.com/mp3/episode341-lq.mp3 We’ve all seen the propaganda by now: Like it or not, autonomous driving technology is on the way. But what will that future look like? Should we be concerned about the lack of control implicit in these technologies? How vulnerable they are to hackers, both criminal and deep state? Or the fact that our entire society is about to be re-engineered before our very eyes? Join James for this thought-provoking episode of The Corbett Report as he explores the road ahead on the path to the driverless future. https://www.corbettreport.com/mp3/episode340-lq.mp3 It is hardly surprising that the first thing Bayer did after completing their takeover of Monsanto earlier this month was to announce that they were dropping the Monsanto name, merging the two companies’ agrichemical divisions under the Bayer Crop Science name. After all, as everyone knows, Monsanto is one of the most hated corporations in the world. But Bayer itself has an equally atrocious history of death and destruction. Together they are a match made in hell. https://www.corbettreport.com/mp3/episode338-lq.mp3 The Trojan horse was the earliest recorded military psyop. That psyop continues to be deployed on unsuspecting populations and it is just as useful as ever, but today’s tricksters have donned the mantle of philanthropy, and their Trojan horses are not wooden statues but non-governmental organizations offering “aid” to foreign nations. In today’s edition of The Corbett Report, we’ll learn about how NGOs are the deep state’s Trojan horses. https://www.corbettreport.com/mp3/episode336-lq.mp3 Television has taught us that the crack CSI experts and their state-of-the-art technology can solve any crime through the power of science. In reality, more often than not the crime-detection technology of the past has turned out to be pseudoscience at best, and outright fraud at worst. And, of course, it has been used to put innocent people in jail. Here are 4 Ways The Crime Lab Can Frame You.